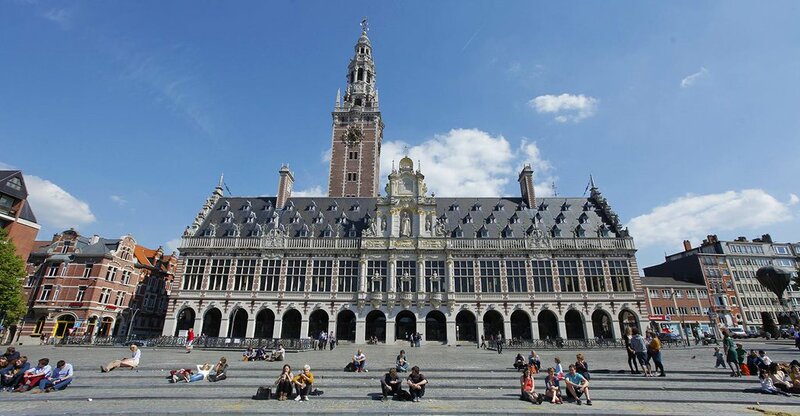 * This KU Leuven PhD is set up together with SoundTalks (www.soundtalks.com), a Spin-Off company of KU Leuven. SoundTalks's mission is to develop automated tools that are based on the analysis and/or localization of sounds to monitor, diagnose and improve system processes and/or quality of life. The PhD project will focus on exploiting the new 6-microphone measurement hardware towards noise reduction, direction-of-arrival estimation, dereverberation and classification of sound signals. Whereas the current SoundTalks sound monitoring tool (SOMO) only uses one microphone for analyzing the sound a livestock facility to determine the health status of the animals, the next generation tool (i.e. the patented SOMOgen2) includes 6 MEMS microphones in a circular periphery around a loudspeaker. * As a researcher you work closely with both the involved university research groups and with SoundTalks (dual-desk PhD). You work includes a literature study on multi-microphone signal processing for noise reduction, dereverberation, spatial localization and blind estimation of reverberation time with multiple microphones; a hands-on experimental part with the SOMOgen2; and the design and validation of algorithms to improve the functionality and robustness of the tool to deal with different livestock facilities with different species, and extraction and localization of noise coming from animals versus coming from machines. environment of more than 300 researchers. The research group has a long track record of combining excellent fundamental academic research with industrially relevant applications, leading to dissemination in both highly ranked academic journals as well as on industrial fora. More information on the research group can be found on the website: https://www.mech.kuleuven.be/en/research/mod/about. * Candidates are expected to apply for a Baekeland Fellowship at The agency Flanders Innovation & Entrepreneurship (VLAIO) - see https://www.vlaio.be/nl/subsidies-financiering/baekeland-mandaten/baekel.... Candidates will get full support of SoundTalks and KU Leuven in preparing the Fellowship application. * I have a master degree in engineering, physics or mathematics and performed above average in comparison to my peers. * I'm proficient in written and spoken English. * During my courses or prior professional activities, I have gathered some basic experience with signal processing and acoustics, and/or I have a profound interest in these topics. * As a KU Leuven PhD researcher I perform research in a structured and scientifically sound manner. I read technical papers, understand the nuances between different theories and implement and improve methodologies myself. * Based on interactions and discussions with my supervisors and my team colleagues, I set up and update a plan of approach for the upcoming 1 to 3 months to work towards my research goals. I work with a sufficient degree of independence to follow my plan and achieve the goals. I indicate timely when deviations of the plan are required, if goals cannot be met or if I want to discuss intermediate results or issues. * I value being part of a large research community and I am eager to learn how academic research can be linked to industrial innovation roadmaps. * During my PhD I want to grow towards following up the project that I am involved in and representing the research group on project meetings or conferences. I see those events as an occasion to disseminate my work to an audience of international experts and research colleagues, and to learn on the larger context of my research and the research project. * A chance to pursue a PhD in Engineering, typically a 4 year trajectory, in a stimulating and ambitious research environment. * Ample opportunity to develop yourself in both a scientific or an industrial direction, besides opportunities provided by the research group, further doctoral training for PhD candidates is provided in the framework of the Leuven Arenberg Doctoral School (https://set.kuleuven.be/phd), known for its strong focus on both future scientists and scientifically trained professionals who will valorise their doctoral expertise and competences in a non-academic context. More information on the training opportunities can be found on the following link: https://set.kuleuven.be/phd/dopl/whytraining. For more information please contact Bert Pluymers, by sending an e-mail to bert.pluymers@kuleuven.be and mention MULTI-MICROPHONE in the title.